The 60th session of the United Nations Commission on the Status of Women (CSW) was held March 14-24, 2016 in New York. I had the opportunity to attend and share the experience with Dominican Sisters International (DSI) and Dominican Sisters from the United States. 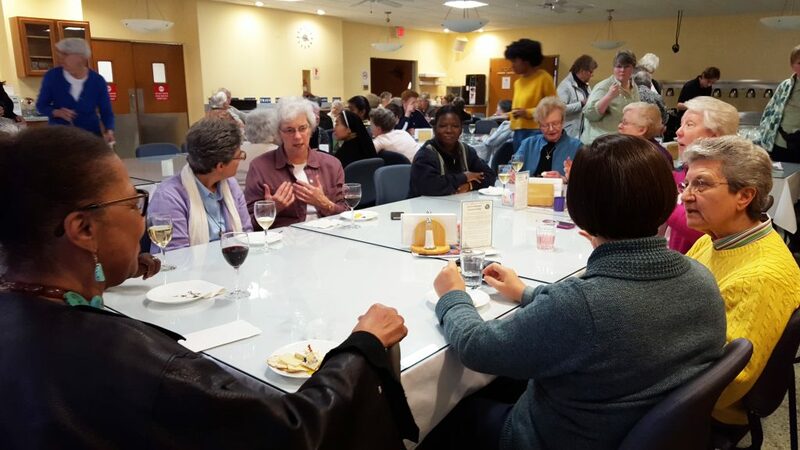 Sisters gathered for conversation at Mariandale. I was in New York for the CSW from March 11-March 20, 2016. On the third day of my arrival, the Dominican Sisters of Hope had an open house at Mariandale Retreat and Conference Center. This began with afternoon prayer and reflection on the theme Women Working toward Justice. Following the homily, the sisters shared “what it means to be a woman working toward justice today.” The discussion was helpful in preparation for the CSW. After afternoon prayer, we all had the wonderful opportunity to meet and talk with our hosts, the Dominican Sisters of Hope. 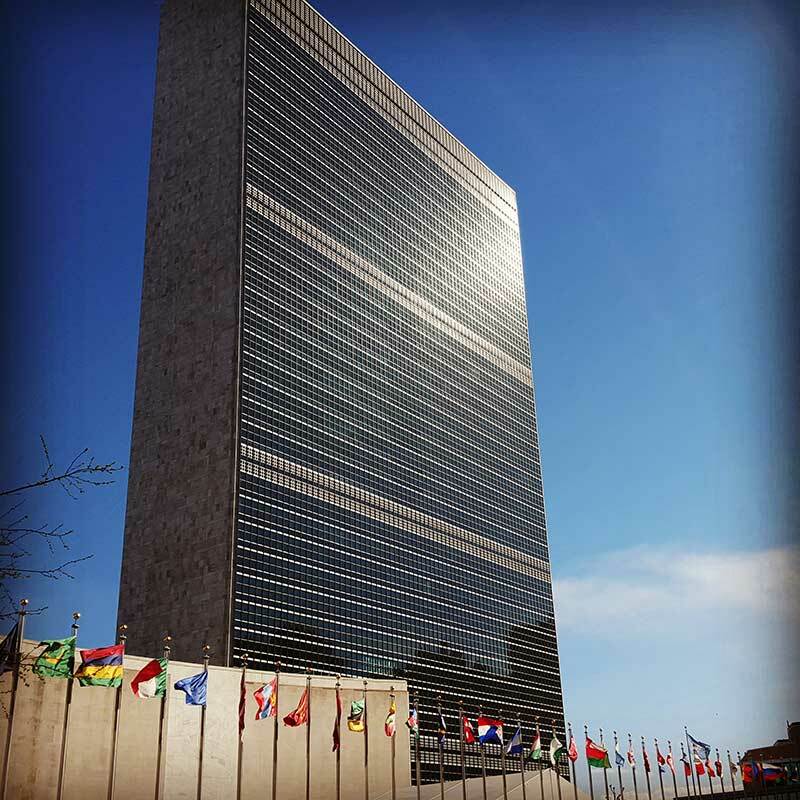 The first week of CSW was filled with events at the UN as well as parallel events. The priority theme for this year’s session was Women’s Empowerment and its Link to Sustainable Development. 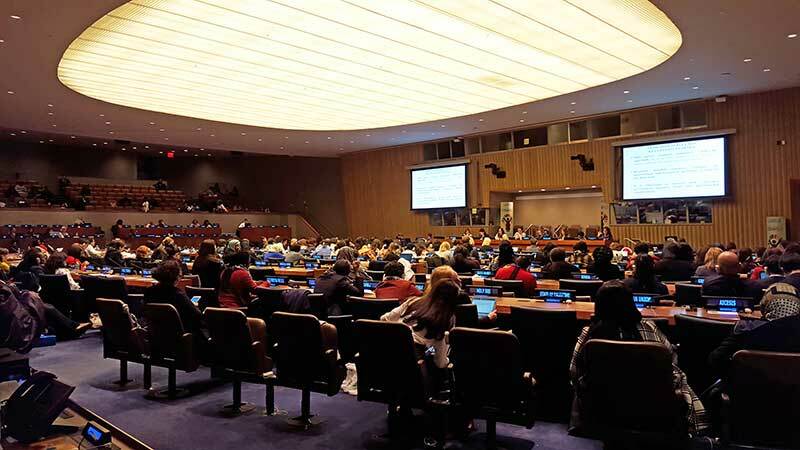 Events allowed member states, UN individuals, and NGOs to address the theme of the CSW, as well as additional critical gender equality issues. One session I attended was “Empowering Women to End Hunger.” One panel speaker who caught my interest was Kalpona Akter, Executive Director of Bangladesh Center for Workers Solidarity (BCWS). She related her personal experience as a former child garment worker and how BCWS seeks to change the abusive working conditions that women workers face. Ms. Akter shared a story about a time when she was in the U.S. as a speaker. When she walked into a U.S. store, she and an associate noticed jeans that were on sale there for $75. She was astounded because she realized that she would have received only ten cents for sewing that same pair of jeans as a garment worker in her country. Hearing this story has caused me to wonder about clothes that are sold in the United States. Because we are not aware of the true cost of our purchases, many of us don’t think about where the items we purchase were made, nor about the difficult conditions faced by the workers who make them. Another session that was thought-provoking was “Food Sovereignty, Women and Sustainability: The Roots of System Change.” This session spoke about “access to healthy food as a lens for understanding the interconnections of all our equity and sustainability issues.” Panelists of the session relayed what sustains them in their work and strategies toward food sovereignty. Panelist Jen Kopec, a vegan chef and yoga instructor, reflected on people’s lack of consciousness about food and the effects on their bodies. She stated that when it comes to food choices we need to ask ourselves “how do we feel about what we’re eating when we’re eating.” Most people don’t consider where their food comes from, nor about the ingredients they consume every day and how they affect their health. To be honest, I did not know what to expect during my week in New York. I have no extensive background in these various interdisciplinary topics. The week educated me on the reality of women’s lives throughout the world and their hope in spite of it. The presentations by the panels where women spoke of the adversities they face, and the conversations with sisters, made one thing always clear—the presence of hope. This was always transparent. I observed that we still have a long way to go to overcome the many issues that confront women. Gratefully, I also observed the resilience women have to create a better future. To view photos from the week, please see the DSC Facebook page here.